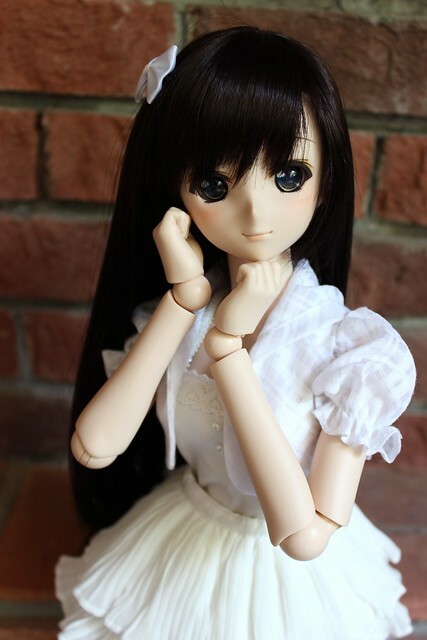 Several weeks ago, I brought home a beautiful Dollfie Dream that I never in my wildest dreams thought that I would own. I posted a little photo of her lovely smile and immediately people started to guess – but I wasn’t ready to reveal her story yet. The time just wasn’t right yet. 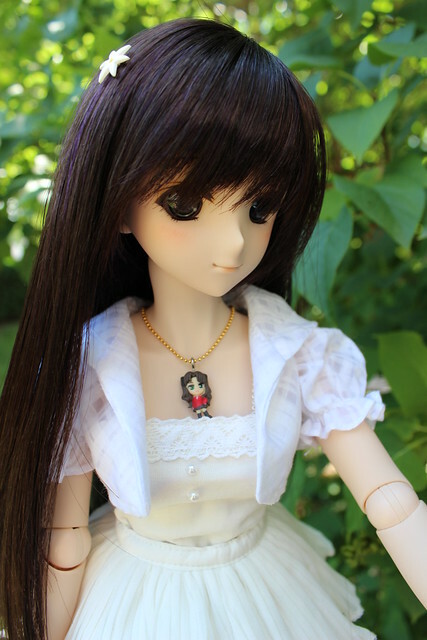 Around this time last year, I started planning a doll meetup in London with DD owners that I’d met over Twitter. It was a big deal for me: it was the my first time meeting other DD owners, my first time taking a DD out in public – and overseas no less!! and I was essentially meeting some casual strangers o_0″ I wasn’t quite sure what to expect, but what actually came to pass was an awesome little meetup in London with D.ark Dollhouse, her husband Fransgaard, Jezatron and GabrielVH, and it was the first of several wonderful meetups that we had when I had to good fortune to be in London for work. It was the success of this meeting that encouraged me to go out and meet other doll owners in my local community. At that first meeting last August, GabrielVH brought his cute DDS Akira – and I’ve blamed him for the adoption of my own Akira later- and D.ark brought her beautiful Yuki Morikawa. Up until then, I had never seen a Yuki in person – I’d seen lovely photos from Danny Choo’s Yuki and puppy52’s Aki but seeing one in person is quite different – she was gorgeous! I’ve heard people describe her as “the poster girl for Dollfie Dreams” and I’m inclined to agree. Here’s a photo from that first lunch outing in London: Jezatron’s Yoko, DarkDollhouse’s Yuki, GabrielVH’s Akira and my Moe. 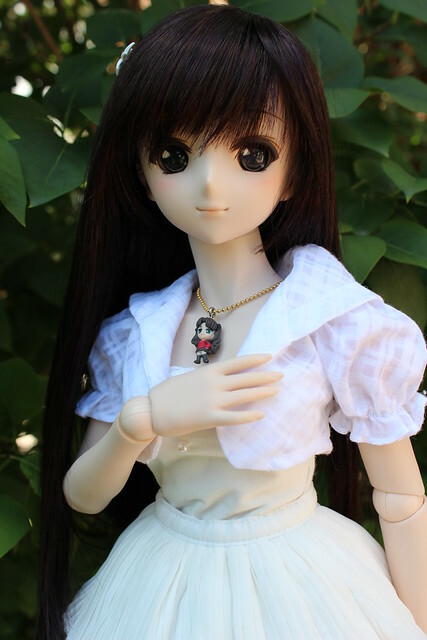 At the time, I just admired Yuki’s loveliness but being practical, I couldn’t put her on my wishlist because the aftermarket markup prices on Yuki’s were so ridiculous! She wasn’t even a unicorn – she was a distant dream. I remember chatting with Wolfheinrich about the “value” of Yuki last fall, and he bluntly told me that unless I was really attached to the character she wasn’t worth the crazy markup, especially since she had been a pre-order doll (i.e. anyone who wanted her could have had one). It was brutally honest, but it was what I needed to hear, and I went on with acquiring other dolls and Yuki went onto the “I’ll maybe have a shot at getting this doll when pigs fly” list. After much thought, I decided to rename this doll Serena. She’s been on my desk for the past few weeks now, and she is a lovely reminder of the wonderful friend that is no longer with us. I still think of D.ark everyday – she touched a lot of people in this hobby and I’m grateful to have known her, and to be able to take care of one of her girls. Serena is extremely precious to me and I will keep her always. 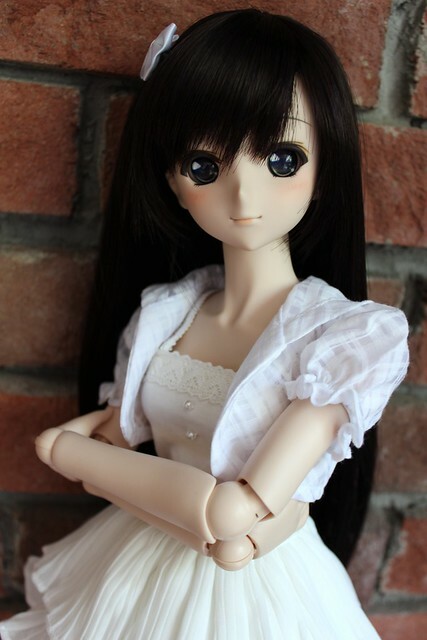 This entry was posted in Dollfie Dream and tagged Dollfie Dream, Serena, Yuki Morikawa by archangeli. Bookmark the permalink. I’m happy for you to be able to adopt Serena.. The background on this Yuki will make her even a more special Yuki than any other Yuki. Look forward to seeing more of her in the future. Ha! I knew it had to be Yuki from that first smile picture. I guessed correctly and who she was and where she came from. It’s so nice that she’s come to you despite the sad circumstances. 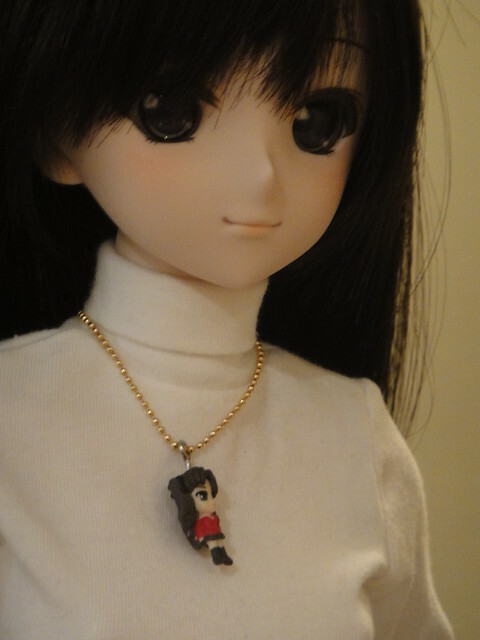 I followed D.Ark.s blog, so I know a bit of the backstory of this Yuki… and I have to say, she will be so appreciated, and beautifully photographed and shared by you, it’s kind of a wonderful tribute to someone who really did do a lot for the community.